Benny B. Briesemeister is founder and CEO of Neurospective, a Berlin based neuromarketing research company specialised in retail and in-store measurements. 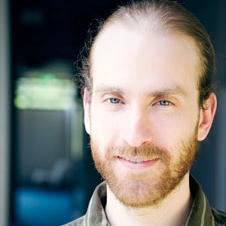 His research, which became the fundament of neurospective, combines neurophysiological methodology such as EEG and eyetracking with psychological theorizing, which enables him not only to analyze which marketing materials work best, but also to a certain extend why they work (or not) and how they can be improved even further. In short, he documented the link between marketing, emotion and consumer motivation. This research earned him the NMSBA NeuroTalent of the Year 2015 award - and the attention of international clients on two continents.